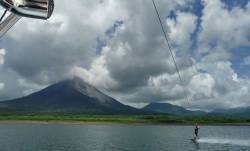 Description: FlyZone Costa Rica Wakeboarding. Lessons and camps at Lake Arenal in tropical Costa Rica. Personalized packages, may include surfing and/or kiteboarding. See our website for more information: www.flyzone-cr.com/lessons.